“Trocha” illegal river crossing. Colombia-Venezuela border near Cúcuta, Colombia, one of the main entry points for people crossing from Venezuela into Colombia. 20 September 2018. Top politicians and officials from across the world will gather in Marrakech, Morocco this weekend, ahead of a major conference convened by the UN, to formally adopt an all-inclusive, extensive global agreement aimed at making migration safer, and more dignified for all. Regular migrants, irregular migrants, and refugees...What’s the difference? The Conference in Marrakech will focus on migration. And regular migration, as the Special Representative for International Migration Ms. Louise Arbour puts it, “refers to people who enter or stay in a country in which they are not a national through legal channels, and whose position in that country is obviously known to the government and in conformity with all the laws and regulations.” Regular migrants represent the “overwhelming majority of people who cross borders,” Ms. Arbour added in a recent interview with UN News. Migration is becoming harder and harder, especially where Europe is concerned. The IOM highlighted an incident, where a Spanish fishing boat, the “Nuestra Madre Loreto,” was stuck at sea for over a week after rescuing 12 migrants who sailed from Libya on a dinghy in early November. No EU nation agreed to grant the migrants authorization to land, according to Spanish news reports. Ms. Arbour, who will chair the Conference in Marrakech, said that if the Compact is adopted we would see “a great improvement on the development aspects, that humanitarian aspect and all the economic benefits that migration is capable of producing, if it's well managed in a cooperative way." “I think that their foreign policy and the spirit of multilateralism is pretty seriously affected if they, in a sense disengage from a document that they've agreed to just a few months ago. 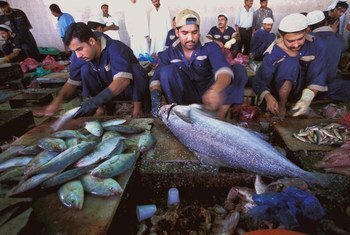 So, I think it reflects very poorly on those who participated in what were actual negotiations,” Mr. Arbour told UN News. Migration is a human phenomenon...Why address it now? The Marrakech Conference will also see the official launch of the Migration Network, by the UN Secretary-General António Guterres. This body will ensure effective and coherent system‑wide support to the implementation of the Global Compact, with the International Organization for Migration (IOM) taking the lead role. 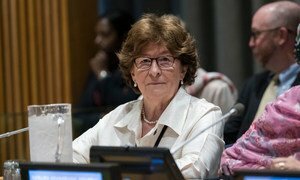 In an exclusive interview with UN News, Louise Arbour, the UN Special Representative for International Migration, said on Tuesday that the stated intention of several countries (including Hungary, Poland, the Czech Republic and Austria) to pull out of the Global Compact for migration has seriously affected the spirit of multilateralism. 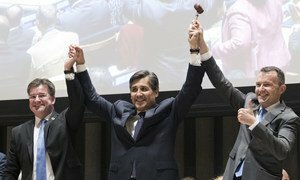 For the first time ever, United Nations Member States have agreed an all-encompassing Global Compact to better manage international migration, address its challenges, strengthen migrant rights and contribute to sustainable development.